Home /Contact /Budday, Silvia, M. Sc. 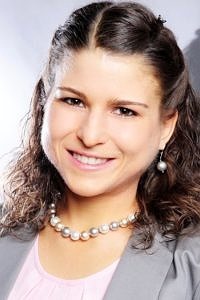 Silvia Budday, currently a post-doctoral research fellow at the LTM, studied Mechanical Engineering at the Karlsruhe Institute of Technology (KIT), where she graduated with one of the four best Bachelor’s degrees in 2011 and the best Master’s degree of a female student in 2013. During her Master’s studies, she spent one year abroad at Purdue University, Indiana, USA, for which she received an international scholarship by the DAAD (German Academic Exchange Service). She was also a scholar of the German Academic Scholarship Foundation. She did her PhD on “The Role of Mechanics during Brain Development” at FAU supervised Prof. Paul Steinmann in close collaboration with Prof. Ellen Kuhl at Stanford University and Prof. Gerhard Holzapfel at Graz University of Technology. Mechanics) and the ECCOMAS Best PhD Award for one of the two best PhD theses in the field of Computational Methods in Applied Sciences and Engineering in Europe in 2017. Furthermore, she received the Bertha Benz-Prize from the Daimler und Benz Stiftung as a woman visionary pioneer in engineering. In July 2018, she received the Emerging Talents Initiative funding by the FAU, and in October 2018 one of the 2017 Acta Students Awards. She is an active member of the Femtec Alumni e.V. Her work focuses on experimental and computational soft tissue biomechanics with special emphasis on brain mechanics and the relationship between brain structure and function.